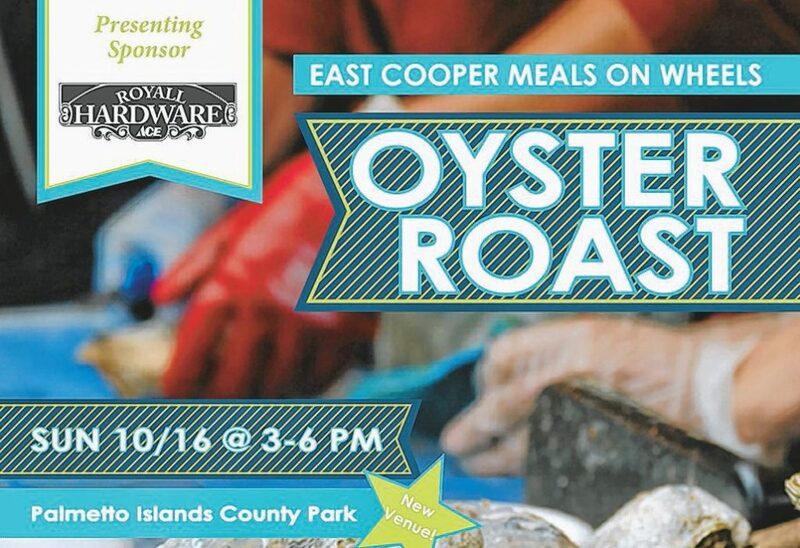 With three very successful years of this event under its belt, East Cooper Meals on Wheels will hold its 4th Annual Oyster Roast on Sun. Oct. 16, at Palmetto Islands County Park. The event has been sponsored by Royall ACE Hardware. Noisy Oyster will supply the oysters. In addition to oysters, the event will include a Fireman’s Chili Throwdown sponsored by South State Bank, BBQ Competition sponsored by Advanced Hearing Care, live music provided by Awendaw Green, plus additional food and beverages. Teams from Awendaw, Mount Pleasant and Isle of Palms fire departments will spice things up by participating in the “Chili Throwdown,” a friendly yet competitive cook-off. The Mount Pleasant Fire Department holds the 2015 title. New to this year’s Oyster Roast is a BBQ Competition between five local teams. Guests vote for the best chili and BBQ by dropping dollars into the collection jars at each table. Whichever team collects the most wins, and all proceeds go to East Cooper Meals on Wheels. East Cooper Meals on Wheels packages and delivers meals to those who are homebound and unable to provide for themselves, most often due to injury or illness. Depending solely on donations and fundraising, special events are key to the organization’s vitality. “This annual event aims to grow awareness of Meals on Wheels’ mission and help raise funds to support our work for local residents in need,” noted George Roberts, President/CEO of East Cooper Meals on Wheels. The Oyster Roast will take place Sun. Oct. 16 at 3 p.m. at Palmetto Islands County Park (444 Needlerush Parkway, Mount Pleasant, 29464). Tickets may be purchased online for $35 (everything included), $20 (everything, except oysters), $10 for children under 12. For more event information, visit http://www.ecmow.org/oysterroast and www.facebook.com/ECMealsOnWheels .